Covenant Relationships: Are You Contemplating Divorce? It seems our individualistic antenna has never been more sensitive. We run at the sight of the barest pain, we are always seeking the easy way out. We forget that our wedding vows were not ordinary words but a covenant that we swore to keep till death comes calling. 1 Cor.7:15-17 stated the grounds of divorce as sexual immorality or desertion by an unbelieving spouse. In my few years as a law student and even now as a practicing lawyer, I can boldly say that these reasons are hardly grounds cited by spouses for divorce. Mostly cited are irreconcilable differences which could mean the couple has fallen out of love or they no longer share a common vision,lack of trust or there is someone new. These reasons most times don’t fall within the biblical context. We are imperfect beings. Events are bound to happen but we need to make room for each other’s shortcomings. Bearing this in mind, we ought to be more open minded about our marriages and really take on the cloak of Christ. We should be opened to mending whatever is broken by taking conscious physical steps, praying tirelessly and seeking God’s heart on our marriage. Even sexual immorality doesn’t necessarily have to spell the end. It just takes for us to bear in mind the lessons of forgiveness and reconciliation taught at different times in the bible.Asides, divorce comes with more casualties than the two people involved. Are you contemplating divorce? What steps have you taken towards reconciliation? Is the damage done totally irreparable? Have you sought counselling? Have you prayed? Have you given it lots of thought? Perhaps, you should give it time. 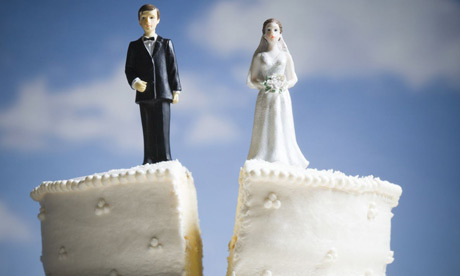 Divorce is not meant to be the first option, it is not even meant to be an option at all unless in extreme situations. P.S If you are in an abusive marriage, please speak out. Contact your pastor,support group etc. You need lots of prayer and counselling and you might probably have to separate while you are trying to resolve your issues.